WASHINGTON — For patients with partial onset seizures who were not responding to existing treatment with one to two existing antiepileptic drugs, monotherapy with once-daily eslicarbazepine acetate (ESL) resulted in better seizure-related exit rates and improved quality-of-life scores, findings from several studies indicate. 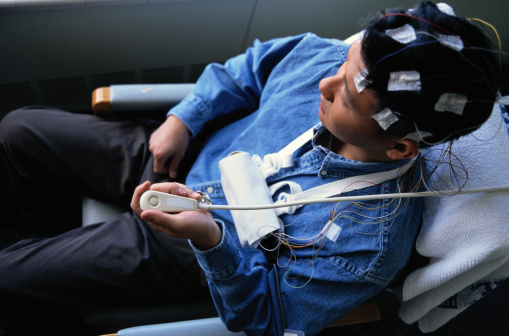 Eslicarbazepine acetate (Aptiom, Sunovion) is currently indicated as an add-on therapy for patients with partial onset seizures, but data presented at the American Academy of Neurology 2015 meeting suggests it may offer advantages as monotherapy. In a poster session, researchers presented data on the safety and efficacy of ESL after conversion as an adjunctive therapy to monotherapy in two identically designed phase-3 studies. Overall, 332 adult patients who weren’t responding to treatment with up one to two AEDs were enrolled. The data presented were from two 18-week double-blind, randomized phase-3 conversion-to-monotherapy studies in to evaluate the efficacy and safety of once-daily ESL 1,200 mg or 1,600 mg. Estimated seizure-related exit rates, which signify worsening condition, were 30.8% (95% CI: 23.0-40.5%) in the ESL 1,200 mg group, and 20.6% (95% CI: 15.6-26.8%) in the ESL 1,600 mg group — both less than the lower limit of the prediction interval calculated from the historical control (65.3%), the researchers found. “Data from our monotherapy clinical trials build upon the established efficacy and safety of [ESL] adjunctive treatment and may provide a potential new option for patients with epilepsy who could benefit from monotherapy,” Grossman said. A supplemental new drug application to expand ESL’s indication from adjunctive to monotherapy is currently under review with the FDA. Additional ESL mono therapy data were presented as part of two separate poster sessions at meeting, covering topics including improved quality of life and depressive symptoms and lower abuse potential. All presented at: AAN 2015. April 18-25, 2015; Washington, D.C. Disclosures: The Sunovion Pharmaceuticals Inc. provided funding for the studies.